Saigon is collecting a fair selection of rooftop bars, and one of the best views of the city can be found at OMG, next to the Ben Thanh Market. Get here around 5pm for happy hour and you can watch the skyline light up as the evening approaches. It’s also a good spot to do a video of Saigon traffic in hyperlapse. Part of why I wanted to visit this bar was to get some photos of the roundabout in its current form. This roundabout will soon be a big construction site as it’s the location of the main interchange station for the metro system. There will also be an underground shopping mall, and when completed the roads will be pedestrianised. It’s one of the many projects that is currently under construction in Saigon. 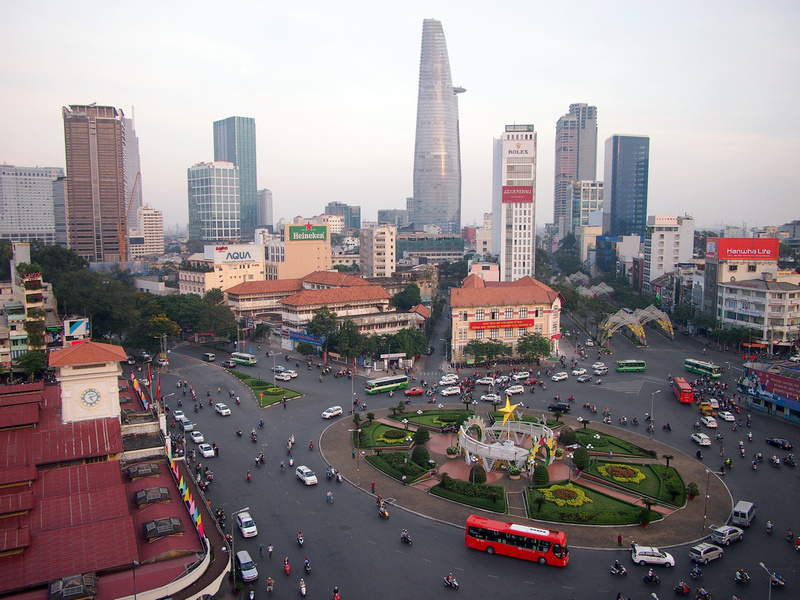 Would love to visit Saigon some day!